How to Earn Money With Publicity Clerks | ODosta Inc. Publicity Clerks is a direct advertising network which was launched in 2012 and in such less time have got too much fame.Publicity Clerks is an ad network.This Network is for those people who want to get their websites directly monetized. If your website got disapproved by ad-sense or banned by adsense so don’t get depressed as publicity clerks is always available for you. Publicity Clerks is the direct alternative of Buy sel lAds with Good revenue, So we’re sharing some Great Facts about Publicity Clerks to Earn Money Online in Pakistan. You Can Cash out your payment Just At $5. The Minimum Requirements To get approved by publicity clerks is not as much as high as google adsense or buy sell lads. A Website Which Could Get Hundred Plus Views.Here Is the List Of Publicity Clerks Requirements. 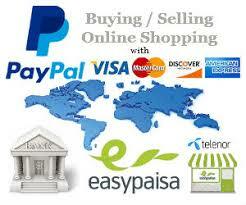 If Your Website Fulfill These All Requirements Than You Can Join Publicity Clerks And Earn Too Much. Publicity Clerks is the Best Alternative Of Buy Sell Ads And Google Adsense. Is Publicity Clerks The Competitor? Currently Publicity clerks is included In The Top Advertising Networks And I Personally Consider It As A Good Advertising Network.It Have Almost More Than 30,000 Publishers.It Is However Best For Both Publishers And Advertisers.Being A Publisher I Would Say you That If You Are Disapproved By Google Adsense Or Buy Sell Ads Or Any Other Direct Advertising Company Than You Should Use Publicity Clerks. If I didn’t Get approved? If Anyone Of You Didn’t Get Approved By Publicity Clerks Than Nothing To Get Depressed. It Doesn’t Works Like Adsense That If You Get Disapproved So The Next Time Your Are Unable to apply. You can apply again after one month on publicity clerks, Which Is A Great Option For Publishers. 1.Open The Publicityclerks.com And Click At Create Account To Create A Account On The Publicity Clerks To Earn Money. 2.Fill The Form On The Publicity Clerks Site Easily It Is Fast And It Is Easy Form As Facebook.Then Click Submit.You Go To Your Email And Verify The Account. 3.After Creating The Account Click On My Websites And Add A Website For Approval. Everybody Wants To Make Money Online By Blogging And They Are Looking For The Alternative Ad Networks Such As Publicity Clerks, Adsense,Media.net e.t.c.I Think That You Had Understand Everything, But If Not, Then Please Leave A Comment to get fast response.